If you’re coming from Southern California, the Highway 41 corridor from Fresno up to Yosemite’s (South) Entrance, past Fish Camp, is probably the way you’ll go. The road begins its serious climb in Oakhurst, where Queen’s Inn by the River boasts an adjacent winery and beer garden serving up almost 100 wines and craft beers on Wednesday through Sunday afternoons. Also in Oakhurst are Vulture’s View Inn, a B&B popular with DogTrekkers, and the dreamy (and dog-friendly) Chateau Du Sureau, a five-star, castle-like estate hotel. 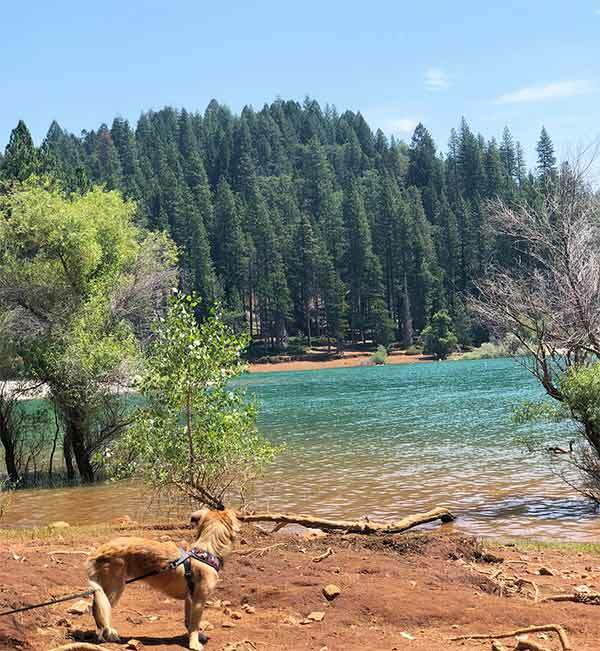 Nearby Bass Lake is a multi-faceted vacationland with three resort/marinas (the Pines, the Forks and Miller’s Landing) that extend a warm welcome to canine guests. All cater to visitors interested in boating, kayaking, paddle-boarding and visiting cultural attractions in the region. Just up the road, take a break in Coarsegold, one of those quirky mountain towns that will put a smile on your face. The local history museum is free, but you likely won't leave without reaching for your wallet in Coarsegold Historic Village, an Old West-themed montage of shops that is part flea market, part antiques shops and part studio outlets for artists. 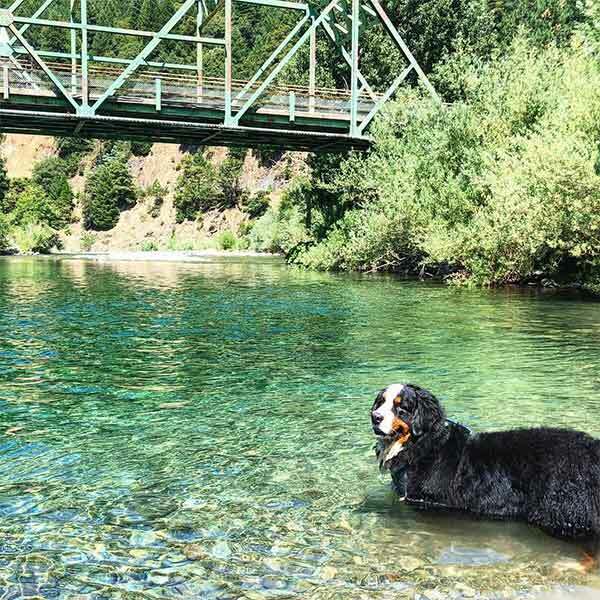 In Fish Camp, the Yosemite Mountain Sugar Pine Railroad is a family-pleasing attraction offering dog-friendly steam-train excursions through the redwoods along with exhibits, picnic grounds and hiking trails. Nearby Tenaya Lodge is a luxury property extending loads of in-room amenities and activities advice to DogTrekkers. Fish Camp and Tenaya are just two miles from Yosemite’s Wawona entrance. Just inside the park, the gingerbread confection previously known as the Wawona Hotel (and recently renamed Big Trees Lodge) evokes yearning for yesteryear, and although it’s not dog-friendly, it’s certainly one of the most photogenic landmarks at Yosemite.